Chapter 108A - Social Services. Article 1 - County Administration. § 108A-1. (Effective until March 1, 2019) Creation. § 108A-3. Method of appointment; residential qualifications; fee or compensation for services; consolidated human services board appointments. § 108A-4. Term of appointment. § 108A-5. Order of appointment. § 108A-8. Compensation of members. § 108A-9. Duties and responsibilities. § 108A-11. Inspection of records by members. § 108A-14. Duties and responsibilities. § 108A-15. Social services officials and employees as public guardians. § 108A-15.1. Consolidated human services board; human services director. §§ 108A-15.2 through 108A-15.6. Reserved for future codification purposes. § 108A-15.7. (Effective March 1, 2019) Creation of regional social services departments. § 108A-15.8. (Effective March 1, 2019) Regional board of social services. § 108A-15.9. (Effective March 1, 2019) Dissolution of a regional social services department. § 108A-15.10. (Effective March 1, 2019) Regional social services director. § 108A-18. Duties and responsibilities. §§ 108A-19 through 108A-23. Reserved for future codification purposes. Article 2 - Programs of Public Assistance. § 108A-25. Creation of programs; assumption by federally recognized tribe of programs. § 108A-25.1: Repealed by Session Laws 2001-424, s. 21.52. § 108A-25.1A. Responsibility for errors. § 108A-25.2. Exemption from limitations for individuals convicted of certain drug-related felonies. § 108A-25.3. Garnishment of wages to recoup fraudulent public assistance program payment. § 108A-25.4. Use of payments under the Low-Income Energy Assistance Program and Crisis Intervention Program. § 108A-26. Certain financial assistance and in-kind goods not considered in determining assistance paid under Chapters 108A and 111. § 108A-26.1. Information sharing of outstanding arrest warrant of applicant for or recipient of program assistance. § 108A-26.2. Fleeing felon or parole or probation violator; eligibility for program assistance; federal approval; review by department. § 108A-26.5. NC FAST caseworker training and certification program. § 108A-27. (See editor's note) Authorization and description of Work First Program; Work First Program changes; designation of Electing and Standard Program Counties. § 108A-27.01. Income eligibility and payment level for Work First Family Assistance. § 108A-27.1. Time limitations on assistance. § 108A-27.2. General duties of the Department. § 108A-27.3. Electing Counties - Duties of county boards of commissioners. § 108A-27.4. Electing Counties - County Plan. § 108A-27.5. Electing Counties - Duties of the Department. § 108A-27.6. Standard Program Counties - Duties of county departments of social services and county boards of commissioners. § 108A-27.7. Standard Program County Plan. § 108A-27.8. Standard Program Counties - Duties of Department. § 108A-27.10. Duties of the Director of the Budget/Governor. § 108A-27.11. Work First Program funding. § 108A-27.12. Maintenance of effort. § 108A-27.15. Assistance not an entitlement; appeals. § 108A-27.16. Repealed by Session Laws 1999-237, s. 6(h). §§ 108A-28, 108A-28.1: Repealed by Session Laws 1997-443, s. 12.14. § 108A-29. Priority for employment services. § 108A-29.1. Drug screening and testing for Work First Program applicants and recipients. § 108A-30: Repealed by Session Laws 1997-443, s. 12.14. § 108A-31. Application for assistance. §§ 108A-32 through 108A-35: Repealed by Session Laws 1997-443, s. 12.14. § 108A-37. Personal representative for mismanaged public assistance. § 108A-38. Protective and vendor payments. § 108A-39.1: Repealed by Session Laws 1997-443, s. 12.14. § 108A-39.2: Repealed by Session Laws 1989 (Reg. Sess., 1990), c. 966, s. 3. § 108A-40. Authorization of State-County Special Assistance Program. § 108A-41. (See Editor's note) Eligibility. § 108A-42. Determination of disability. § 108A-44. State funds to counties. § 108A-46: Repealed by Session Laws 2003-284, s. 10.53(a), effective July 1, 2003. § 108A-46.1.  Transfer of assets for purposes of qualifying for State-county Special Assistance. § 108A-47. Limitations on payments. § 108A-47.1. Special Assistance in-home payments. § 108A-48. State Foster Care Benefits Program. § 108A-49. Foster care and adoption assistance payments. § 108A-49.1. Foster care and adoption assistance payment rates. § 108A-50. State benefits for certain adoptive children. § 108A-50.1. Special Needs Adoptions Incentive Fund. § 108A-50.2. Adoption Promotion Fund. § 108A-51. Authorization for Food and Nutrition Services. § 108A-51.1. Prohibition on certain waivers. § 108A-52. Determination of eligibility. § 108A-53.1. Illegal possession or use of electronic food and nutrition benefits. § 108A-54. Authorization of Medical Assistance Program; administration. § 108A-54.1: Recodified as G.S. 108A-66.1 by Session Laws 2013-360, s. 12H.10(f), effective July 1, 2013. § 108A-54.1A. Amendments to Medicaid State Plan and Medicaid Waivers. § 108A-54.1B. Adoption of rules; State Plans, including amendments and waivers to State Plans, have effect of rules. § 108A-54.2. Procedures for changing medical policy. § 108A-54.3: Repealed by Session Laws 2013-360, s. 12H.6(b), effective July 26, 2013. § 108A-54.4. Income disregard for federal cost-of-living adjustments. § 108A-54.5. Maintenance of waivers for dependents of members of Armed Forces. § 108A-55.1. Medicare enrollment required. § 108A-55.2. Collaboration among agencies to ensure Medicaid-related services payments to eligible students with disabilities in public schools. § 108A-55.3. Verification of State residency required for medical assistance. § 108A-55.4. Insurers to provide certain information to Department of Health and Human Services. § 108A-55.5. Eligibility monitoring for medical assistance. § 108A-56. Acceptance of federal grants. § 108A-57. Subrogation rights; withholding of information a misdemeanor. § 108A-57.1. Rules governing transfer of medical assistance benefits between counties. § 108A-58: Repealed by Session Laws 2006-66, s. 10.5(a), effective July 1, 2006. § 108A-58.1. Ineligibility for medical assistance based on transferring assets for less than fair market value. § 108A-58.2. Waiver of transfer of assets penalty due to undue hardship. § 108A-59. Acceptance of medical assistance constitutes assignment to the State of right to third party benefits; recovery procedure. § 108A-60. Protection of patient property. § 108A-61: Repealed by Session Laws 1989, c. 701. § 108A-61.1. Financial responsibility of a parent for a child under age 21 in a medical institution. § 108A-62. Therapeutic leave for medical assistance patients. § 108A-64. Medical assistance recipient fraud. § 108A-64.1. Incentives to counties to recover fraudulent Medicaid expenditures. § 108A-65. Conflict of interest. § 108A-66: Repealed by Session Laws 1989, c. 702. § 108A-66.1. Medicaid buy-in for workers with disabilities. § 108A-67. Medicare/Qualified Disabled Working Individuals. § 108A-68. Drug Use Review Program; rules. § 108A-68.1. Certain prescription drugs exempt from prior authorization requirements. § 108A-68.2. Beneficiary lock-in program for certain controlled substances. § 108A-70. Recoupment of amounts spent on medical care. § 108A-70.4. Long-Term Care Partnership Program. § 108A-70.5. Medicaid Estate Recovery Plan. § 108A-70.6: Repealed by Session Laws 2007-442, s. 1(b), effective August 23, 2007. § 108A-70.7: Repealed by Session Laws 2007-442, s. 1(b), effective August 23, 2007. § 108A-70.8: Repealed by Session Laws 2007-442, s. 1(b), effective August 23, 2007. § 108A-70.9: Repealed by Session Laws 2007-442, s. 1(b), effective August 23, 2007. § 108A-70.9A. Appeals by Medicaid recipients. § 108A-70.9B. Contested Medicaid cases. § 108A-70.9C. Informal review permitted. § 108A-70.12. Liability for certain acts; damages; effect of repayment. § 108A-70.13. False claims procedure. § 108A-70.14. Civil investigative demand. § 108A-70.16. Uniformity of interpretation. § 108A-70.17. Reserved for future codification purposes. § 108A-70.19. Short title; purpose; no entitlement. § 108A-70.20A: Repealed by Session Laws 2015-96, s. 3, effective June 19, 2015. § 108A-70.21. Program eligibility; benefits; enrollment fee and other cost-sharing; coverage from private plans. § 108A-70.22: Repealed by Session Laws 2008-107, s. 10.13(g), effective July 1, 2008. § 108A-70.23: Repealed by Session Laws 2011-145, s. 10.41(c), effective July 1, 2011. § 108A-70.24: Repealed by Session Laws 2008-107, s. 10.13(i), effective July 1, 2008. § 108A-70.25. State Plan for Health Insurance Program for Children. § 108A-70.26. Application process; outreach efforts; appeals. § 108A-70.27. (See editor's note) Data collection; reporting. § 108A-70.29. Program review process. § 108A-70.30: Recodified as Part 33 of Article 7 of Chapter 143B, G.S. 143B-344.46, by Session Laws 2013-360, s. 15.22(h), effective July 1, 2013. § 108A-70.31: Reserved for future codification purposes. § 108A-70.32: Reserved for future codification purposes. § 108A-70.33: Reserved for future codification purposes. § 108A-70.34: Reserved for future codification purposes. § 108A-70.35: Reserved for future codification purposes. § 108A-70.37. Timely decision standards. § 108A-70.38. Timely processing standards. § 108A-70.39. Average processing time standards. § 108A-70.40. Percentage processed timely standards. § 108A-70.42. Temporary assumption of Medicaid eligibility administration. § 108A-70.46. Audit of county Medicaid determinations. § 108A-70.47. Medicaid eligibility determination processing accuracy standards. § 108A-70.50. Temporary assumption of Medicaid eligibility administration. Article 3 - Social Services Programs. § 108A-71. Authorization of social services programs. § 108A-72. Social services checks payable to decedents. § 108A-73. Services appeals and confidentiality of records. § 108A-74. (Effective until March 1, 2020) Counties required to enter into annual written agreement for all social services programs other than medical assistance; County department failure to provide child welfare services; State intervention in or control of child welfare service delivery. § 108A-75. Report of oversight of social services programs. Article 4 - Public Assistance and Social Services Appeals and Access to Records. § 108A-80. Confidentiality of records. §§ 108A-81 through 108A-85. Reserved for future codification purposes. Article 5 - Financing of Programs of Public Assistance and Social Services. § 108A-86. Financial transactions between the State and counties. § 108A-87. Allocation of nonfederal shares. § 108A-88. Determination of State and county financial participation. § 108A-89. State Public Assistance Contingency Loan Program. § 108A-90. Counties to levy taxes. §108A-91. Appropriations not to revert. § 108A-92: Repealed by Session Laws 1997-443, s. 12.14. § 108A-93. Withholding of State moneys from counties failing to pay public assistance costs. §§ 108A-94 through 108A-98. Reserved for future codification purposes. Article 6 - Protection of the Abused, Neglected or Exploited Disabled Adult Act. § 108A-100. Legislative intent and purpose. § 108A-102. Duty to report; content of report; immunity. § 108A-103. Duty of director upon receiving report. § 108A-104. Provision of protective services with the consent of the person; withdrawal of consent; caretaker refusal. § 108A-105. Provision of protective services to disabled adults who lack the capacity to consent; hearing, findings, etc. § 108A-106. Emergency intervention; findings by court; limitations; contents of petition; notice of petition; court authorized entry of premises; immunity of petitioner. § 108A-107. Motion in the cause. § 108A-108. Payment for essential services. § 108A-110. Funding of protective services. § 108A-111. Adoption of standards. Article 6A - Protection of Disabled and Older Adults From Financial Exploitation. § 108A-112. Legislative intent and purpose. § 108A-114. Financial institutions encouraged to offer disabled adult and older adult customers the opportunity to submit a list of trusted persons to be contacted in case of financial exploitation. § 108A-115. Duty to report suspected fraud; content of report; immunity for reporting. § 108A-116. Production of customers' financial records in cases of suspected financial exploitation; immunity; records may not be used against account owner. § 108A-117. Notice to customer; delayed notice. § 108A-118: Reserved for future codification purposes. § 108A-119: Reserved for future codification purposes. Article 7 - Hospital Provider Assessment Act. § 108A-120. Short title and purpose. § 108A-124. Use of assessment proceeds. § 108A-125. Deferral of assessment due date. § 108A-126. Approval of assessment program. § 108A-128. Payment for providers formerly subject to this Article. § 108A-129: Reserved for future codification purposes. § 108A-130: Reserved for future codification purposes. § 108A-131: Reserved for future codification purposes. § 108A-132: Reserved for future codification purposes.